Barketball star LeBron James is set to receive an equity payout as part of the Beats sale to Apple. The Washington Post (via The Loop) reported that Mr. James will receive more than US$30 million in cash and stock as a result of a 2008 deal that gave him a stake in the company. Here's the thing: that's $11 million more than "King James" makes at his day job playing for the Miami Heat in a year. 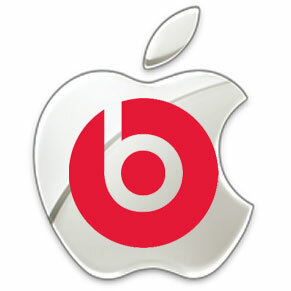 Beats headphones get part of their prestigious rep from being worn by sports stars such as Tom Brady and David Beckham. In fact, last year's ESPN Magazine music issue described how LeBron James requested headphones for each member of Team USA 2008. Team USA then wore them to the Olympics, where they garnered a fair amount of attention. Today of course you can see that stylish "b" on the ears of all manner of athletes at news conferences or warming up. Specifically you see soccer/futbol players in "The Game Before The Game," a video produced by Beats. There is speculation (because what's an Apple article without speculation?) that this payout unrelated to basketball could result in LeBron James taking a pay cut at the Heat to free up money under the NBA salary cap so that the Miami Heat can tempt some new talent.